Two electrical fires in Vista that broke out just over an hour apart injured a firefighter, damaged a business and charred a garage attached to a home, authorities said Thursday. The first of the fires was reported shortly before 4:30 p.m. Wednesday. 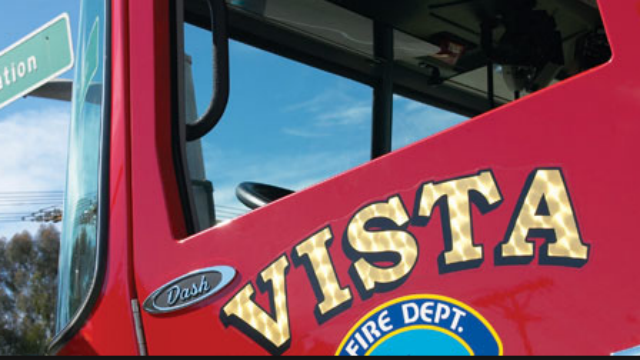 Firefighters arrived to find smoke and flames in the attic of a shopping center at the corner of East Vista Way and Foothill Drive, according to Deputy Chief Ned Vander Pol of the Vista Fire Department. Fire crews confined the blaze to the attic, but smoke billowed into neighboring businesses, forcing them to close for the day, Vander Pol said. About an hour later, firefighters were sent to extinguish a fire burning in the garage of a home on Elevado Hills Drive. Vander Pol said that fire posed an electrical safety hazard that temporarily halted firefighting efforts and warranted a visit from San Diego Gas & Electric. It was contained in about 30 minutes. Firefighters checking the house found a dog, which they reunited with its owner, according to the deputy chief. One firefighter was injured and taken to a hospital to be treated but was later released, Vander Pol said. Damage estimates were not immediately released.